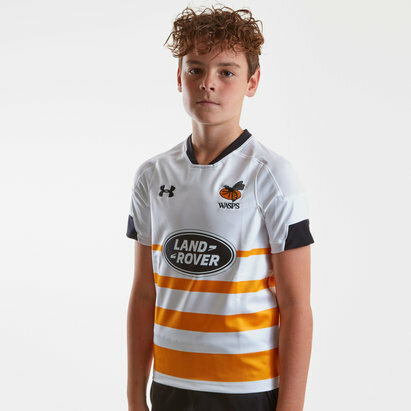 If you're going to get sent to Coventry make it for the right reasons and whilst you do it make sure you show who you're supporting in this Wasps 18/19 Home S/S Players Test Shirt from Under Armour. Playing in the Gallagher Premiership, the Wasps were founded in 1867 and began life as a London based club before relocating to Coventry in 2014. 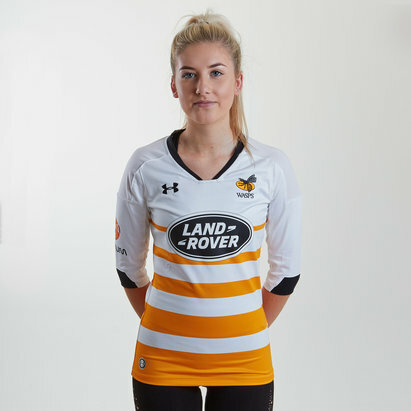 With a crowd of over 32,000 now able to watch the Wasps at the Ricoh Arena they're sure to cause a stir on the pitch not only for their rugby but for their style too. 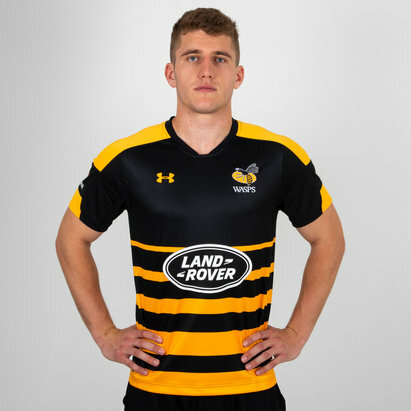 In May 2015, The Wasps announced a new multi-year deal with American apparel manufacturer Under Armour to become 'technical wear partner'. 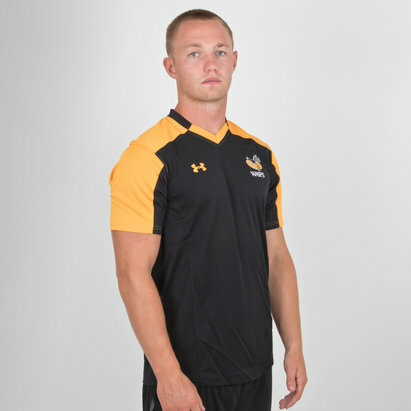 The contract saw the Wasps become the first British domestic team to use the company's apparel which they continue to do. This shirt is made from authentic, ultralight & fast-drying materials. It uses UA CoolSwitch which is an exclusive coating on the inside that pulls heat away from your skin, making you actually feel cool & able to perform longer. The stretch-mesh underarm panels deliver strategic ventilation and the material wicks sweat & dries really fast. This jersey uses anti-odor technology to prevent the growth of odor-causing microbes. 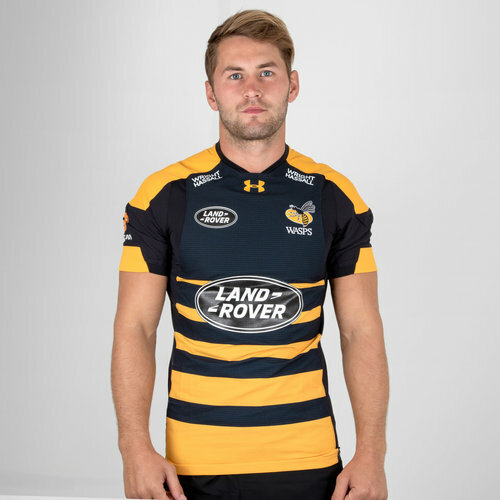 This season is the first time in Wasps history that a home shirt has featured hoops with those coming in black and gold. The jersey's feature five gold hoops on a black background which 'symbolises the number of years the team have spent playing at the Ricoh Arena'. The sleeves also feature a gold block down them. 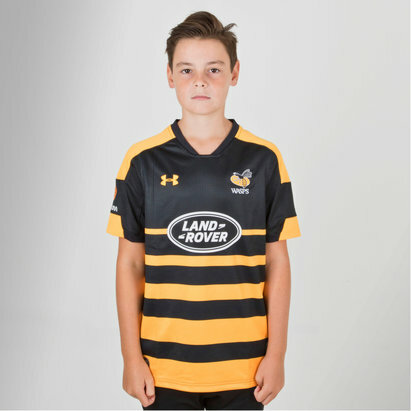 This season has seen the Wasps switch back to the club's original Wasps logo, with a wasp positioned over the top of a yellow ball and the word "WASPS" written underneath. 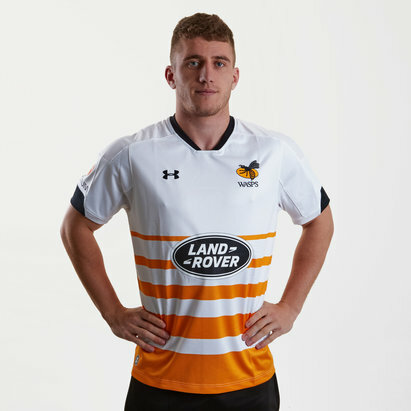 The Under Armour logo is by the collar whilst the club's sponsor - Landrover - is printed across the middle. Note: The Authentic Jersey is a muscular/tight fit. We recommend ordering 1-2 sizes up from your normal size for a comfortable fit.